I will start off by saying I am by no means an expert! I am not a nail technician. 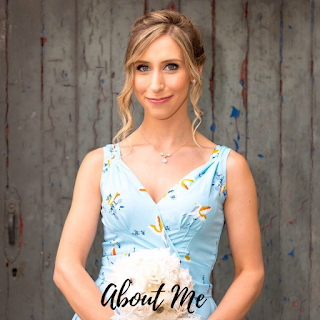 These are products and tools that work for me - I just wanted to share as you may find some of them helpful. I use this generally once a week. I apply it around my cuticles and let it sit for a few minutes before pushing them back with my cuticle pusher. These removers tend to contain lye which dissolves skin. They don't just work on the cuticle so it is essential to wash your hands immediately after using this as per the directions. This really does work wonders and you will see I have been using this for years! A definite firm favourite! 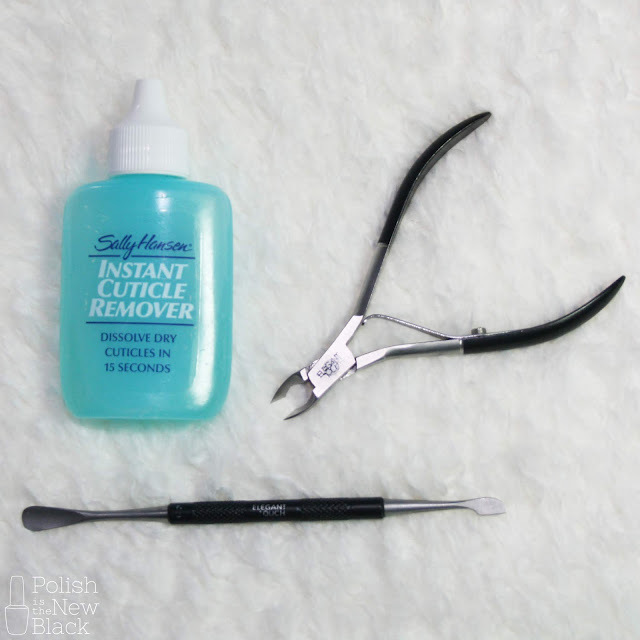 You can read a bit more about how to use a cuticle removere HERE over on the Jolly Slice blog. This particular one is from Elegant Touch. You can find them quite cheap online. However, I like to ensure I have good quality tools and I do think you get what you pay for. I have been using this for years now and it is still going strong. You also get a 5 year guarantee on Elegant Touch's tools which is great. I use this alongside the cuticle remover to keep my cuticles neat. I use the rounded side to push the cuticle back and the pointed side to scrape around my nail to remove any residue. It is really important you NEVER cut your cuticles! They are there for a reason! Again these particular ones are by Elegant Touch. As with the pusher these are great quality made from stainless steel. I actually use these for hang nails. 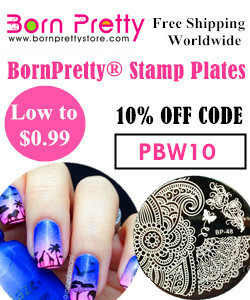 They are perfect to quickly nip them away rather than pulling or biting them and causing sores around your nail. Do not use them on your cuticles! I also find these really handy to use with nail wraps and tape to trim close to your nail. Now this was one of the items very kindly gifted to me by the lovely Danielle at Sparkle PR. However, all views are my honest opinion. They are quite pricey I know! However, the quality of these is amazing! Rubis are a Swiss company and they produce professional quality tools. Now because of the quality they do not cause any breaking or splitting. I also love the design - they are very unique. So when you think about the quality of them and how long they will last it really is worth the investment! This was the second item gifted. As with the scissors they are amazing quality which like I said will last you years! So while they are a little more pricey it really is worth it! As they are sharp they ensure a clean cut and as above I love the unique design. 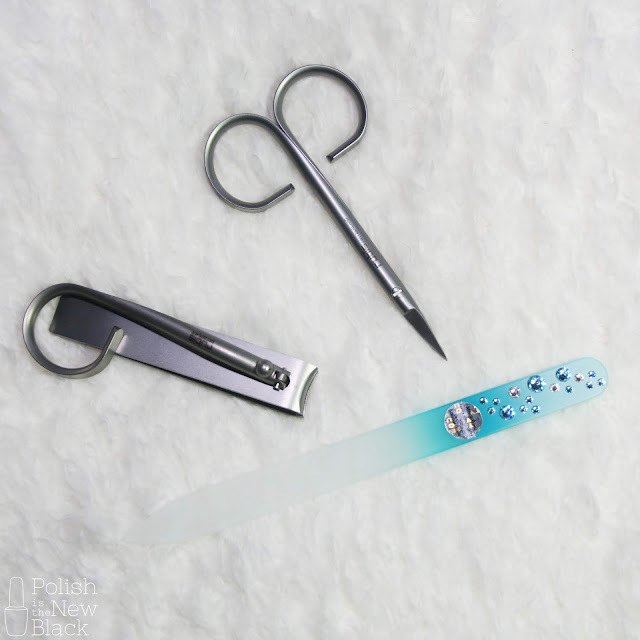 I use these along with the scissors to trim my nails down when they grow long before filing them. I adore this nail file! It is a Mont Bleu crystal glass which have a great reputation as some of the strongest and most durable files. A glass file is an absolute must for me and I will not go back to a regular cardboard file now. I mean the cardboard ones are convenient and the important thing is if you do use one to file in one direction! When you don't it an cause the layers of the nail to split; making them more prone to breaking. With the glass files you can file in any direction and they do not cause the nail to split. I have been using this one since 2015 and it is still as perfect - it just goes to show quality tools really do last! Plus look how pretty it is! I love this base coat as it is a ridge filling one which makes my nails feel smooth ready for polish application. It has a matte finish so it is really natural looking and has a lovely pink/peach tint which is perfect for that natural/french manicure look. I wish I could wear this all the time to protect my nails as naked nails are the most vulnerable and prone to breakages but even a natural polish is a no no unfortunately! Now again you might say this is quite pricey. However, it is absolutely amazing! I've been using this for a few years now and it is my favourite hand cream. It is so nourishing and leaves my hands feeling soft and hydrated. For me it is a must especially with my job. As some of you know I work full time as a Speech and Language Therapist. This means I have to wash my hands constantly and use hand gel for infection control reasons. I also cannot wear nail polish!! As a result my hands can get dry and sore really easily. This is a life saver and often I will put this on before bed and put on some cotton gloves for a more intensive treatment. This is a new addition to the team which I recently purchased from Rainbow Connection which is a UK stockist of international nail brands. I have the scent pink sugar babies which is an RC exclusive and let me tell you it smells incredible! I previously used Sweet Baby which I mentioned in my previous nail care post. However, unfortunately Donna is no longer producing this which is a shame as it was amazing. This however has been a great alternative. It is super nourishing and completely non greasy which is essential for me. 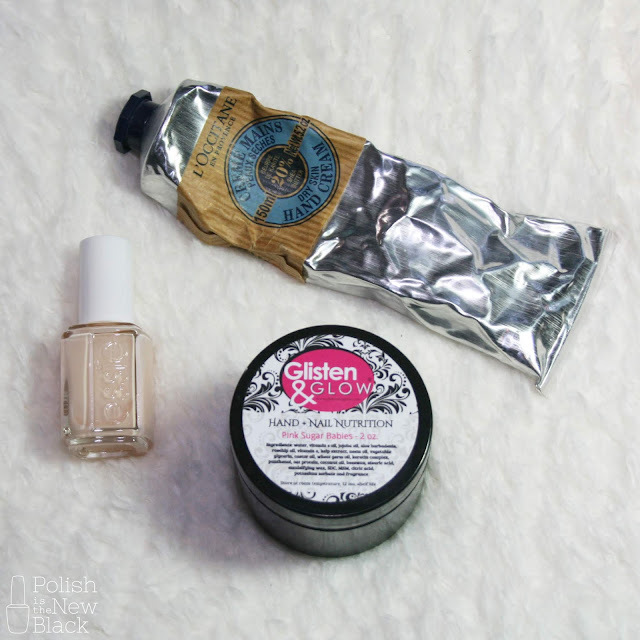 I usually prefer a cuticle butter such as this as I hate my hands feeling oily and greasy. This absorbs perfectly leaving my skin feeling lovely and soft. I bought the 2oz tub and it is massive! I know it will last me ages! So that is everything! Well done if you made it to the end! It was a long post but I hope you found it helpful! 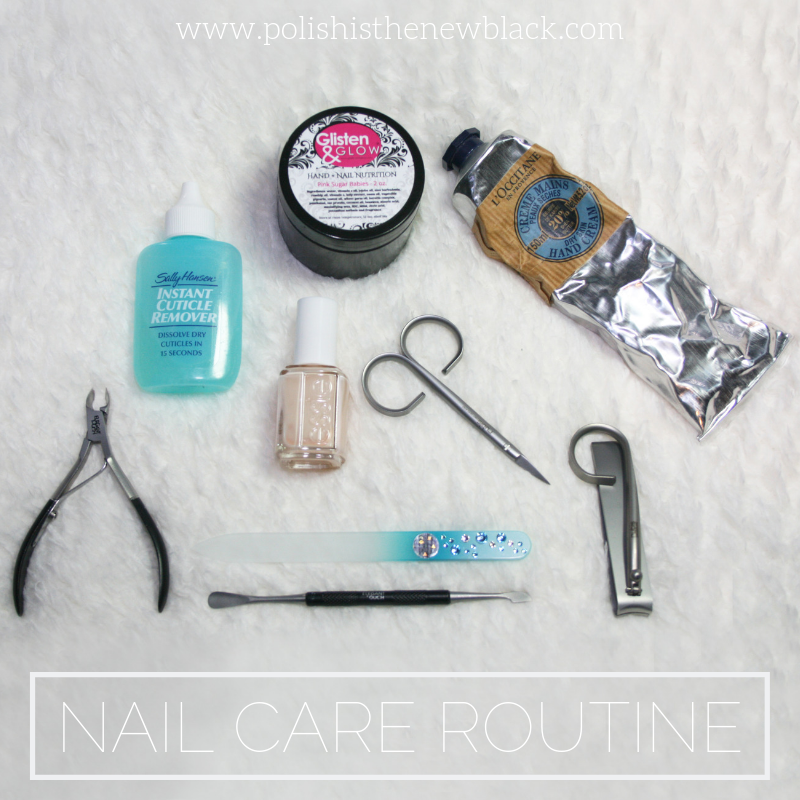 I would love to know what your nail care essential are!